I love Australia, but falling asleep in paddocks of long grass is not a recommended pastime here. Most folks around the world associate Australia with a wide range of exotic animals that will kill you as soon as look at you. It’s a reputation many Aussies are keen to foster from the comfort of their urban pavement latte MacBooks, and it’s not a total exaggeration. Although the statistics show that deaths are rare, a bite from a snake or a spider can really put a dent in your weekend. Sitting sketching for any length of time takes on a whole new level of excitement in the Australian bush. If you sit still long enough, animals forget you’re there. Great when its something you want to see like a platypus, less great when it’s a copperhead choosing to sun itself on the rock beside you. I miss snoozing outdoors, so here’s a picture painted in France some years ago at a farm my friends had recently bought. 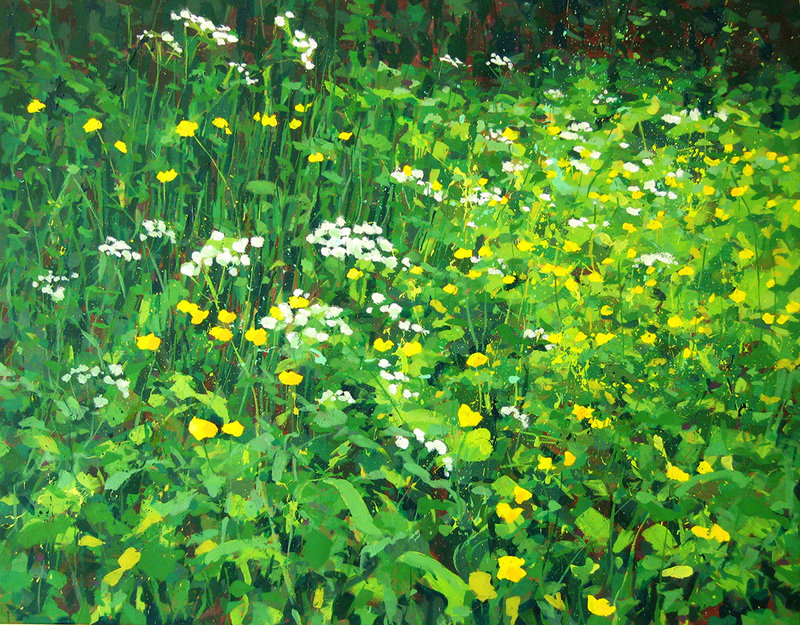 Early summer meant lush meadows of wildflowers ready to picnic on and sleep in. Wonderful.